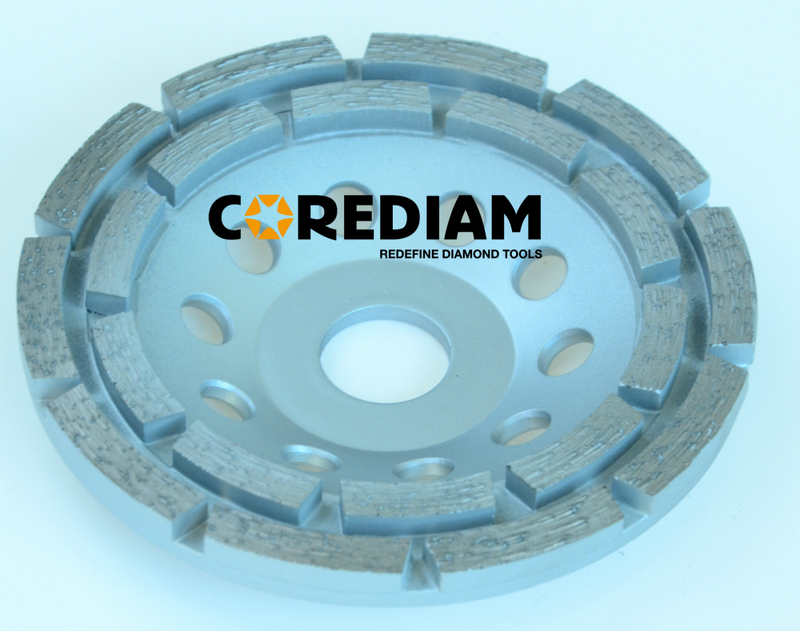 This Double Row Diamond Cup Wheel is widely used for grinding concrete or floor. Double Row Cup Wheel are matching with angel grinder and floor grinders. Popular double-row of segments can keep stable sharpness from beginning to the end. With high grinding performance, it wouldn't scrath or break states while grinding . Long life and stable performance. Good grinding result and high efficiency. The design of the base is with center core and drain core for dry and wet grinding. There are Grinding Disc and Sintering Turbo Wheel for your reference. Arbor:7/8", 5/8"-11, M14, different connections based on your request. Install equipment: angle grinder, floor grinders. Each cup wheel has its separated bule≠tural box. 150&180mm cup wheels: 20 pieces in one carton, cartion size: 40x40x20cm. Delivery time for bach order we can controled is within two weeks. We send grinding cup wheels by express, by air, by sea. Looking for ideal Premium Double Row Grinding Cup Wheel Manufacturer & supplier ? We have a wide selection at great prices to help you get creative. 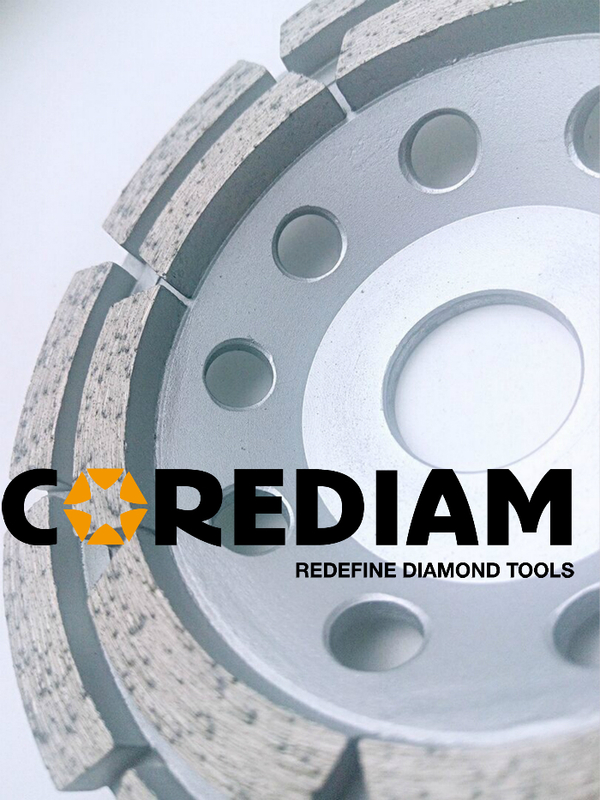 All the 180mm Double Row Diamond Cup Wheel are quality guaranteed. We are China Origin Factory of 180mm Double Row Abrasive Cup Wheel. If you have any question, please feel free to contact us.